Fresh raspberries and blackberries can be expensive at this time of the year (springtime), even in California where tasty berries grown locally or in Mexico are available year round. Organic and non-organic. By including fresh apples and using frozen mixed berries from Trader Joe’s I could make a yummy Bumbleperry Pie without breaking the bank. Thankfully I usually have frozen mixed berries in my freezer anyway for my daily smoothies. I was so pleased afterwards to discover that my pie creation actually had a name: Bumbleberry Pie. Somehow this homey rustic name elevated my excitement about my brother’s birthday pie. 2 to 3 tablespoons of thickener, such as tapioca, cornstarch or flour. See my recipe for Peach, Nectarine and Plum Pie to learn how to make a fruit pie. In my Bumbleberry Pie, I used apples (Granny Smith and Lady Alice) for about one-third of the fruit required. For the remaining two-thirds I incorporated a package of frozen mixed berries: raspberries, blackberries and blueberries. I added more frozen raspberries since my brother likes these most. I also sprinkled a little ground cinnamon, allspice and cardamon into the sugar. 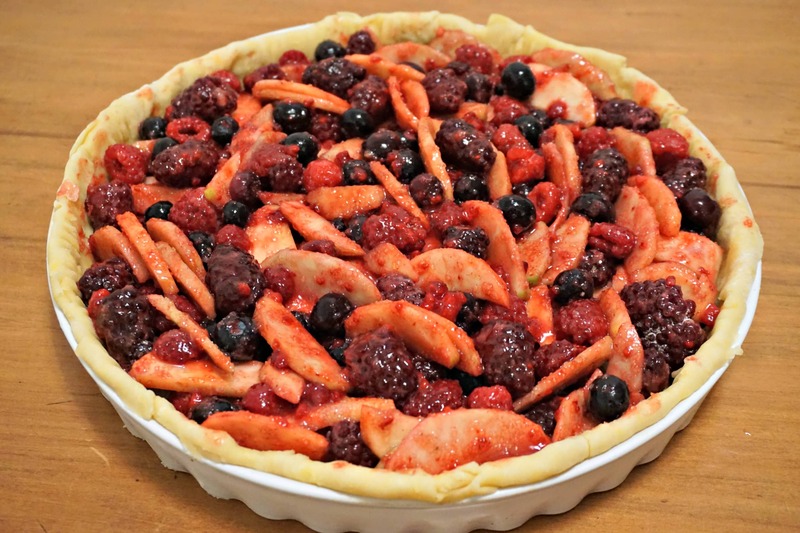 Feel free, however, to mix your favorite berries or to use other kinds of apples in your pie. Or if you prefer, omit the apples and rhubarb all together and use only berries. If you do use only berries, you will most likely need more sugar and/or thickener since berries are naturally lower in pectin. Creating the right balance between the quantity of fruit, sugar and thickener you use is the most difficult part of making a fruit pie. Some fruit, such as apples, plums and lemon are naturally high in pectin, which will help solidify the liquid. Meanwhile, other fruits, such as raspberries, blueberries and many other kinds of berries are low in pectin. Include fruit with higher levels of pectin to offset fruit with lower levels of pectin to reduce the amount of sugar and thickener needed. Follow this link for a list of fruit with high and low levels of pectin. Sugar will also help thicken your fruit pie filling. When it melts and mixes with the juices of the baked fruit, it will thicken as it cools down. Be careful, however, because some fruit is naturally sweet. Adding too much sugar to this fruit will not only be unhealthy but will also cause your pie taste too sweet. With sweet fruit, consider mixing in some sour fruit, such as cranberries, which contain extra pectin to help offset the sweetness and help solidify the pie. 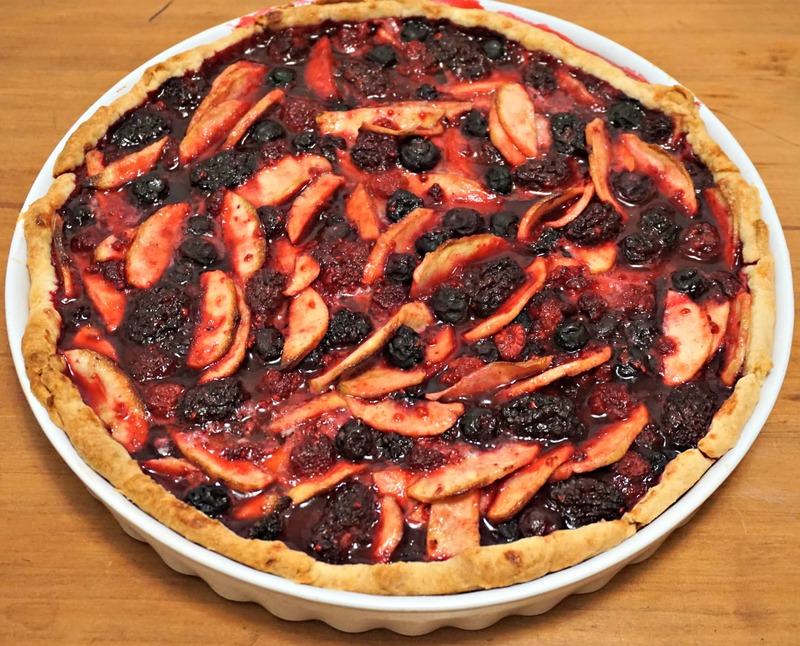 If you use frozen fruit to make a pie, keep the fruit in the freezer until the last minute so it keeps its form and does not create too much liquid in your pie. When you are ready to add the frozen fruit, put a little tapioca flour, cornstarch or flour in a bowl and then stir in the frozen fruit in your bowl. Mix the fruit gently so it is lightly coated with the tapioca flour, cornstarch or flour. This step will help the fruit stay in tact, while absorbing some of the liquid. 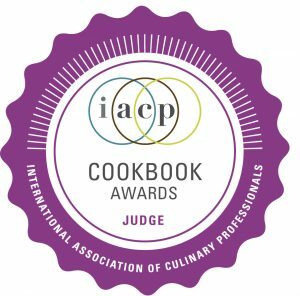 Remember, however, to deduct the tapioca flour, cornstarch or flour that you use during this step from the total amount called for in the recipe. Avoid adding a top crust on your pie if you use frozen fruit, as it emits liquid as it bakes. A top crust will keep the liquid inside the pie and prevent evaporation. Make sure there is sufficient space on top to vent the steam. You can leave the top open, add a thin trellis-style crust, or create a wide galette opening on top to let the liquid evaporate a bit. If you are afraid that your pie will be too liquidy, try adding some crumble bits on top to absorb some of the liquid. You can make crumble dough by blending togethger a little butter, flour and sugar and, if you wish, some chopped nuts. How much time to make a pie? When I made my Bumbleberry Pie for my brother’s birthday, it took me about 2 hours start to finish to prepare the pie. I spent about 5 to 10 minutes to make my homemade Pastry Crust (pâte brisée) dough. While the pastry crust dough rested 30 minutes in the refrigerator, I washed, peeled and sliced the apples. I then placed the apples into a mixture of flour, sugar and spices. I also prepared the rest of the ingredients for the next stages. After turning the oven on to 180°C (375°F) to pre-heat, I rolled out the dough and laid it onto the pie dish. I then removed the frozen fruit and turned it quickly into a little flour before adding some sugar, spices and lemon juice. Next I mixed the frozen berries to the apples. I then poured the fruit mixture onto my pricked dough and re-arranged the fruit so it looked pretty. All of this took about 15 minutes. The pie baked in the oven for 55 minutes. The time needed will vary depending on the fruit used and your oven. With my new convection oven it took 55 minutes. I would recommend starting to watch your pie after 40 minutes in the oven to avoid it being burnt. If the crust looks too brown while the fruit filling is not yet ready, consider brushing a little milk on the crust to help prevent further burning. How did the family enjoy the Bumbleberry Pie? My family loved the Bumbleberry Pie. We served it with vanilla ice cream, which was perfect blended with the yummy liquid left in the pie. Happily the natural flavor of the fruit was not overpowered by the sugar or thickener used. I would definitely make this Bumbleberry Pie again. Next time I might try adding a tiny little more thickener to absorb some of the excess juices in the pie. Alternatively, I might try baking the pie a bit longer, as long the fruit does not fall apart or lose its shape. Bumbleberry pie can be made year round for your family and friends if you use frozen fruit. It’s so simple to prepare and will add such a homey touch to any meal. 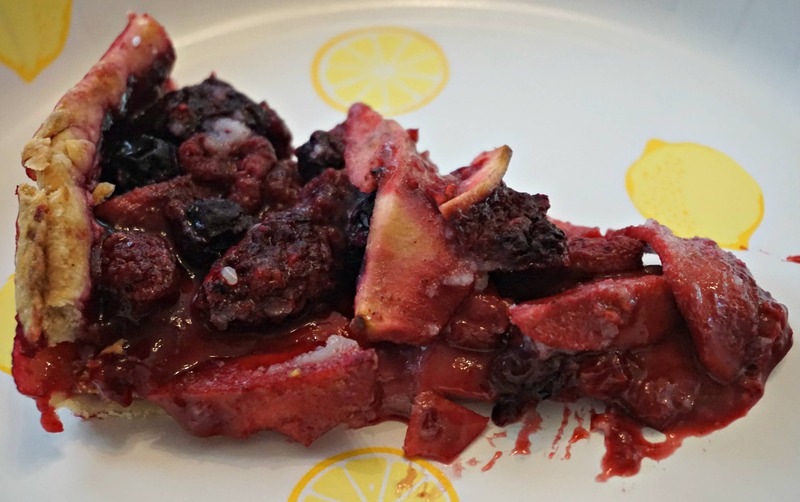 Bumbleberry Pie can be made year round with either fresh or frozen fruit. You can choose your favorite berries to add to this yummy pie to create your own special pie for family and friends. If you are preparing your own pastry crust, follow the steps indicated in the recipe found at the end of the link and then let rest. If you use a store-bought pastry crust, skip to the next step below. Peel all the apples. Slice them in thin slices (about a quarter or a Euro coin thickness). If you choose to use rhubarb instead of apples, follow the same steps for the rhubarb. Put all the sliced apples into a non-reactive bowl. Mix about half of the tapioca flour or cornstarch with about half of the sugar and add to the apples. Add seasoning. Let rest and mix while you prepare the pie crust. Preheat oven to 180°C / 350°F. Roll out your homemade or store-bought pastry crust into a pie tin. Fold over the top of the crust into your preferred pattern. I usually just crumple the dough using my forefinger and thumb going around the top edge. Make sure you prick the bottom of the pie crust several times. Put the remainder of your tapioca flour, flour or cornstarch in a bowl. Remove the frozen berries from the freezer and add them to the bowl. If you use fresh berries, add them now following the same steps. Stir them gently into the tapioca flour, flour or cornstarch so all the fruit is lightly coated. This will help the fruit keep their form as much as possible. Add the remainder of the sugar to the berries. Mix the berries into the bowl with the apples or rhubarb. Add the lemon juice and let sit a couple minutes. Place the fruit into your pie tin. You can either do this in attractive manner by making a design or simply by pouring the fruit in. Either way, I usually fix the fruit a little so the fruit is evenly placed around the pie and it looks as attractive as possible. Put little pieces of butter (fingertip size) randomly on top of the pie. If you prefer you can push them down a bit into the fruit. Place the pie dish in the top half of the oven for approximately 55 minutes or until the crust is golden and the fruit looks cooked. I usually turn my pie half way and then gauge my time from how it looks at that moment. Start checking it though after 40 minutes or so to prevent from burning. Everyone's oven is different. Sometimes if the crust looks like it is browning too early, I will place at this time a sheet of foil loosely on top of the pie (not folded down onto the pie) to help prevent the crust from burning before the fruit filling is done. Remove the pie from the oven and let cool before serving. It can be served warm (not hot) with ice cream or at room temperature however you wish. The pie might be more liquidy if you serve it warm than if it is cooled completely. I recommend including the juice of 1 lemon with the fruit mixture as it helps bring out the flavor and offset the sweetness of the pie. The juice however can make the fruit mixture more liquidy. The fruit mixture will become more liquidy with time if you let the mixture sit longer than 15 minutes. When you place the fruit onto the unbaked pie crust there will be some liquid from the bowl that will come with the fruit. It is good to include some of the liquid with the fruit as it contains a lot of the sugar and the tapioca flour / flour / cornstarch. However, I usually leave some of the extra juice (about 1/4 or 1/2 cup) in the bowl to avoid the pie from being too liquidy at the end. The amount of sugar and tapioca flour / flour / cornstarch that you will need will depend on the fruit that you use. Some fruit is naturally higher in pectin (apples, for instance) so require less thickener than other fruits. The sugar is intended to bring out the flavor of the fruit and to offset some of the tartness of the fruit. The sugar also helps to create a thick syrup when the pie is baked and the juices from the fruit mixes with the sugar. Start off with about half of the sugar indicated and then add more until the taste is as you desire. If you use frozen fruit, do not thaw in advance, and add more sugar and thickener (tapioca flour / flour / cornstarch) than if you use fresh fruit.